Life Maid Simple was established in May 2006. We are one of the most recognized and talked about cleaning companies in our area. This is due to our outstanding customer service and quality work. Many of our clients come from referrals, due to the excellent service we provide. We also understand that helping our community should be at the forefront of any business. We have been a partner of Cleaning for a Reason, and Simplifying Lives, for a cause since May 2009 which provides free cleaning to families undergoing treatment for cancer. Our staff is professional, friendly, trustworthy, and reliable. They are very experienced and knowledgeable. We are here to make your life simple, and make your house or office sparkle! Nicole has been cleaning and organizing homes and offices since May 2006. She understands the importance of clean and organized homes. People just don’t have the time they need to clean and organize. Without this time, homes are becoming more and more disorganized which is costing families valuable time that they just can’t afford! She wanted to start a business doing what she loves the most, cleaning and organizing, and to help families so they have more quality time to spend together. 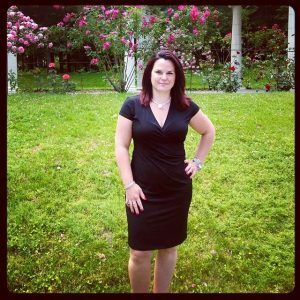 Nicole was a Financial Advisor for a subsidiary of American Express. She learned to be very organized, and felt first hand how hard it was to have a career and enough time for family and house work. Nicole has also owned a before and after school daycare for many years, helping local families by providing a safe, clean environment for their children. 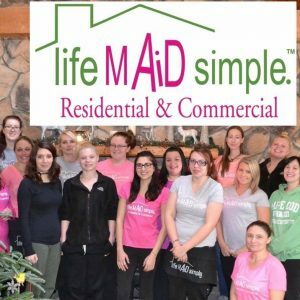 Nicole and her dedicated staff would love to make your life simple by cleaning or organizing your home! We are the best due to our thoroughness and the fact we all love our jobs!